Are you a major transportation enthusiast? If so, and you’re planning a trip to Boothbay Harbor, Maine, get tickets to visit the Owls Head Transportation Museum. 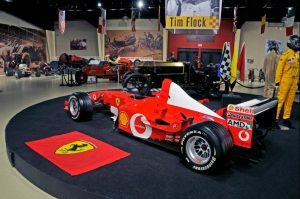 This museum houses over 150 cars, planes, bikes, and much more! Whether you love vintage foreign cars or restored aircraft, you’re sure to find your favorite on display. 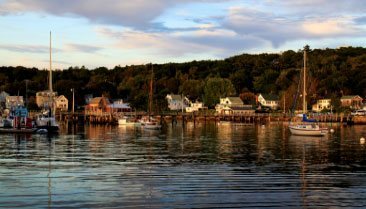 Before you plan your trip to the stunning Maine coastline, request your free Boothbay Harbor Vacation Guide. It has all of our best recommendations for restaurants, entertainment, and Cape Cod attractions like the Owls Head Transportation Museum. 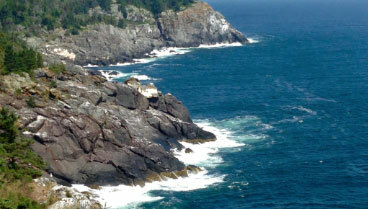 You’ll discover the incredible Owls Head Transportation Museum in Owls Head, Maine. This all-inclusive, machine lover’s paradise keeps the rich history of transportation alive. As you plan your visit, check out our suggestions on how to make the most of your time. 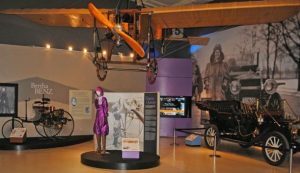 This world-class museum displays a large collection of vehicles, engines, aircraft, and many other modes of transportation. 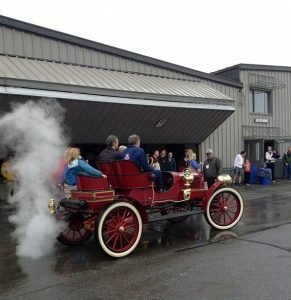 The Owls Head Transportation Museum guides you through the dramatic evolution of automobiles, carriages, bicycles, and motorcycles. Discover the incredible transformation of airplanes, from the 1804 glider to 1978 Super Cub. You’ll see exact replicas of extraordinary transportation machines, so bring your camera! If you can, plan your trip so you can also attend one of their fantastic seasonal events. For instance, their annual New England Auto Auction is held each August and offers the chance to see everything from classic automobiles to muscle cars. 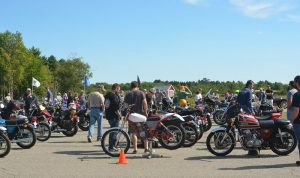 Wings and Wheels is the museum’s longest-running event and a fantastic opportunity to see WWII Warbirds, classic cars, and aerobatic performances! Visit the museum website for dates of operation, hours of admission and pricing. The Owls Head Transportation Museum features rotating exhibits that offer visitors the chance to gain an understanding of how far we’ve come with transportation! Each guide is well-versed in history and maintains our mission of visual learning by operating about 90 percent of the vehicles in the collection on your tour. You’ll be able to see the cogs turning, pistons rotating, and hear the engines revving when you tour the museum. Recent exhibits include Women Who Dare: Pioneering Women of Transportation; Faster: The Quest for Speed; The Artist’s Passion for the Automobile (featuring original works by Melbourne Brindle); and The Bentley Boys. 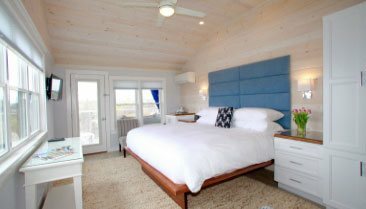 As you search for a relaxing retreat in Boothbay Harbor, book your room at Topside Inn. Our breathtaking property sits atop a hill and sets itself apart from the bustling town. Yet, the inn is only a 5-minute walk from the center of downtown. 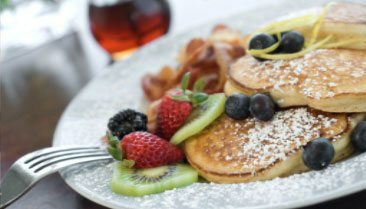 During your stay, you’ll delight in our delicious breakfast each morning, luxurious accommodations, and stunning views of the water. We suggest looking at our suite in the Leeward Guesthouse in the Leeward Guesthouse. This luxurious suite boasts a spacious master bedroom, newly-renovated features, and seclusion on the second floor. You’ll also enjoy a fully-equipped kitchen, large sitting area, and more! Browse all of our beautiful rooms and suites online today. Then book the ideal room for your vacation and start planning your getaway with us!